In the Treaty of Guadalupe Hidalgo, which ended the Mexican war in 1848, Mexico ceded much of northern Mexico (all or parts of California, Arizona, New Mexico, Colorado, Wyoming, and Utah), and the U.S. guaranteed to honor existing property rights in the ceded territory. United States courts struggled for the next few decades to determine which property rights were legitimately granted by Mexican or Spanish authorities, and which were just spurious land grabs. 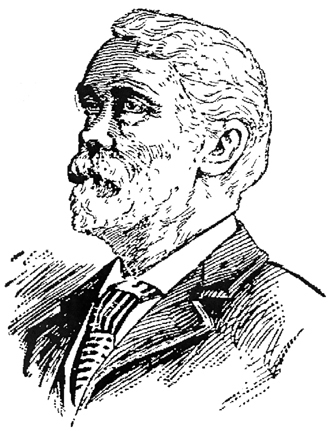 The most famous case was brought by James Addison Reavis, who claimed to be the hereditary Baron of Arizona, and heir to an old Spanish land grant that made him the rightful owner of a huge swath of land in Arizona and New Mexico, including the city of Phoenix, and the rich mining districts of Globe, Clifton-Morenci, and Silver City. Reavis forged a phony land grant from the king of Spain to a nobleman named Peralta. He then spent many years going through old archives in Spain and Mexico. He would smuggle papers out of the archives, alter a word or add a line referring to the land grant or to the Peralta family at the bottom of the page, then smuggle the papers back in. As the final piece, he convinced a poor young half-Indian woman in San Bernardino, California, that she was the sole surviving member of the once-powerful Peraltas. 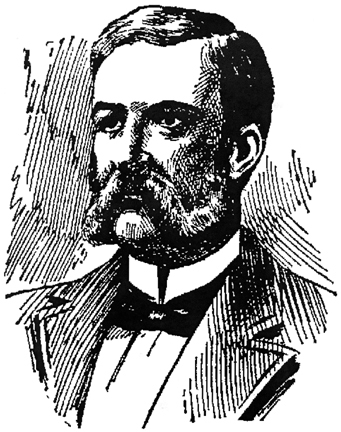 By marrying her, Reavis claimed to be the legitimate Baron of Arizona. He then went to Arizona, and began demanding payment from settlers, businesses, railroads, and mining companies, for squatting on his property. On a boulder southwest of Phoenix, Reavis carved a rectangular figure (appearing faintly on the left side of the photo) next to some ancient petroglyphs. He said that this was the original southwest corner marker of the Peralta land grant. Reavis said that the pre-Columbian ruins of Casa Grande, Arizona, were the old Spanish-colonial Peralta hacienda. Reavis’ claim came before the federal claims court in Santa Fe, New Mexico, and it appeared to most people that his claim was legitimate, and that the Baron and Baroness Peralta-Reavis were soon to become the wealthiest people in the nation. But government investigators, in a triumph of early forensic science, discovered that Reavis had forged his documents using modern inks that were not available centuries before. The land grant was rejected, and Reavis was sent to prison for perjury. The Hollywood film, The Baron of Arizona, starred Vincent Price in 1950. For the complete true story, read the book The Baron of Arizona, by E. H. Cookridge. In the 20th century, Reavis’ phony Peralta genealogy became grafted onto stories of the Lost Dutchman mine in Arizona. The fictional role of the Peraltas in mining the Superstition mountains near Phoenix is amplified in each retelling of the Lost Dutchman legend.